Remembering a Memory, produced by Ronald Rudin (Concordia University) and directed by Robert McMahon (Royal Ontario Museum) explores the various stories inspired by the immense Celtic Cross constructed in 1909 on Grosse-Île , a tiny island near Quebec City, which is the site of the largest cemetery outside Ireland connected with the Potato Famine of the 1840s. This film reflects on how and why the memories evoked by Grosse-Île have so dramatically shifted over the past century. Robert McMahon, Royal Ontario Museum. There was a substantial famine migration from Newry to British North America in 1849, symbolized by the ill fated voyage of the Hannah which was shipwrecked on an iceberg, though many of its passengers were miraculously rescued. The voyage of the Hannah has been reconstructed in two closely related Northern Irish and Canadian documentaries: 1) Ice Emigrants, and 2) Famine and Shipwreck: An Irish Odyssey. Narrated by John Lynch, Ice Emigrants is a co-production with Canada’s Galafilms. Canadian title: Famine and Shipwreck, an Irish Odyssey. Time/Date: BBC 1 NI 21st February 2011. Those who sailed across the Atlantic endured scarcely imaginable hardship – none more terrifying than the iceberg which sank their ship in the Gulf of St Lawrence. A century and a half later, on an extraordinary and emotional journey, a young family from Armagh retrace their ancestors’ steps and piece together a moving and inspiring story of emigration and survival. 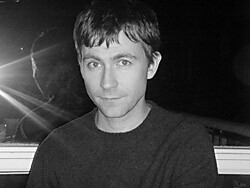 The program received accolades on Irish diaspora websites such as irishamerica.com: http://irishamerica.com/2011/04/the-hannah-an-irish-odyssey/. In fact, the documentary was first inspired by a posting on this website. This documentary specializes in the genre of family history and is quite absorbing in merging a genealogical storyline of a County Armagh family tracing its routes with a historical reconstruction of the tragic journey of the brig Hannah which broke up on the pack ice in the Gulf of St. Lawrence in 1849, from where many were miraculously rescued. 2) Title: Famine and Shipwreck, an Irish Odyssey. 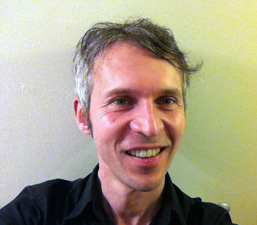 Famine and Shipwreck, an Irish Odyssey is a coproduction with Northern Ireland’s Hardy Film’s documentary Ice Emigrants. It reconstructs the famine voyage of the brig Hannah from the perspective of different descendants of its original passengers than in Ice Emigrants with more emphasis on the Canadian story. It is an entirely separate production. Time/Date: Broadcast on CBC March 17 2011. 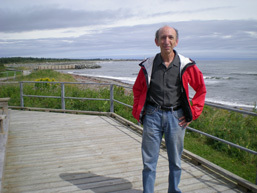 Famine and Shipwreck, an Irish Odyssey was shot in Ireland, Quebec, Ontario and off the coast of Prince Edward Island, in 2010. It never would have been possible without the incredible efforts of Paddy Murphy from Ontario, who traced his genealogy back to his Irish roots in South Armagh, Ireland. Famine and Shipwreck, an Irish Odyssey is [an independent company] Galafilm production, produced in association with the Canadian Broadcasting Corporation and Radio-Canada, with the financial participation of the Canadian Media Fund, the Quebec tax credit and the Federal tax credit, and developed with the financial participation of the SODEC. This documentary was critically acclaimed and extensively promoted on a variety of Irish-Canadian academic and cultural listservs and web sites including that of the Ireland Canada University Foundation (www.icuf.ie). It is a fast paced documentary that makes effective use of CGI an animation for the purposes of historical reconstruction interspersed with on location scenes in rural Ireland and on ice flows in the Gulf of St. Lawrence. 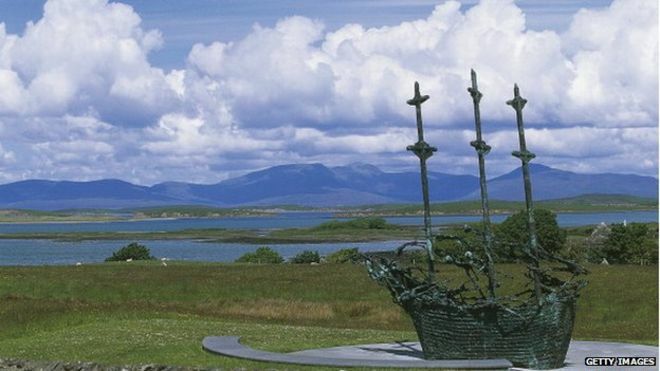 An annual commemoration of the Irish famine when 1 million people died is to be held in Northern Ireland for the first time. The Irish arts minister has confirmed that the 2015 famine commemoration will take place on Saturday 26 September in Newry, County Down. 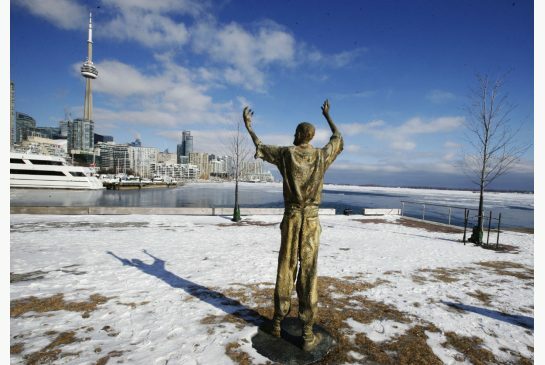 In “the great hunger” of 1845, 1.5 million people emigrated to Canada, America and England. Many died of typhus on the so-called “coffin ships”. Irish minister Heather Humphreys said the famine affected all of the island of Ireland. As a result, the commemoration rotates between its four provinces. The first commemoration took place in Dublin in 2008 – in total, there have been eight commemorations – and this year, it falls to Ulster. 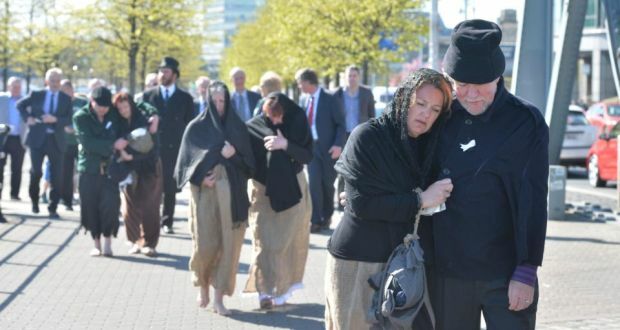 “The annual famine commemoration is a solemn tribute to those who suffered in the most appalling circumstances that prevailed during the Great Famine,” Ms Humphreys said. “While the scale of suffering was greater in some parts of Ireland than in others, all parts of the island suffered great loss of life and the destruction of families and communities through emigration. In 2011, the commemoration was held in Clones, County Monaghan, in the province of Ulster and Ms Humphreys was present. “It was very moving to witness the involvement of the entire community in the event and in particular, the participation of children. I look forward to engaging with the local community in Newry, as they bring their unique perspective to remembering one of the most important events in our shared history, and as an Ulster woman, I look forward to participating in the event in Newry in September,” she said. The minister and the famine commemoration committee welcomed Newry’s strong application, the enthusiasm shown by the local community for the project and their determination to mark the occasion in a fitting, respectful and inclusive manner. The newly-established Newry, Mourne and Down District Council will take a leading role in organising the commemoration. 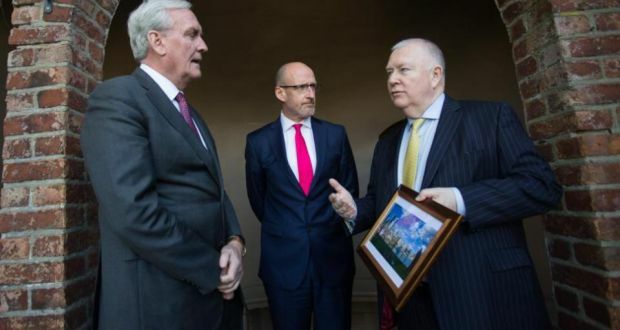 The Department of Arts, Heritage and the Gaeltacht in the Republic of Ireland and the Department of Culture, Arts and Leisure in Northern Ireland will work with the council and other stakeholders. Nestled under the beautiful Sleeping Giant Mountain, and adjoining the more famous town of New Haven, the town of Hamden in Connecticut, home to Quinnipiac University, might seem like an unlikely location to become a centre of Irish Studies within the United States. However, Quinnipiac University is fast gaining a reputation as a hub for the study and appreciation of one of the greatest humanitarian disasters in modern European history – the Irish Famine of 1845 to 1852. 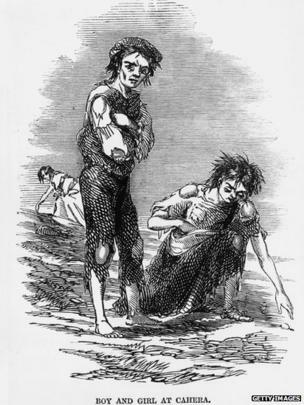 The Irish Famine – more usually referred to in North America as the Great Hunger (or An Gorta Mór) – was triggered by repeated failures of the potato crop in Ireland. Potatoes, although not native to Ireland, were by the mid-nineteenth century providing a subsistence diet to approximately 40 per cent of the population. Since 1801, Ireland had been governed from London and the British parliament was responsible for introducing legislation to deal with the crisis. Most of the relief measures, however, proved to be inappropriate and inadequate to meet the needs of the Irish poor. Moreover, insufficient regulation in regard to evictions and emigration further exacerbated the sufferings of the people. Within the space of only six years, Ireland lost one-quarter of her population. Uniquely though, the country did not recover from this demographic shock, and by 1901 (a census year) the population had dropped to just over four million people. Mass emigration, both during the Famine and in the decades that followed, created large Irish communities overseas, from Sydney to San Francisco. For the descendants of these emigrants, the tragedy of the Famine, and the exile that resulted from it, became part of their founding narrative. 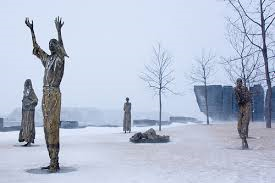 Regardless of the significance of the Famine both for those who remained in Ireland and for those who became part of the diaspora, until recently there were few memorials to commemorate this tragedy and only a small number of scholarly books had been written on this topic. 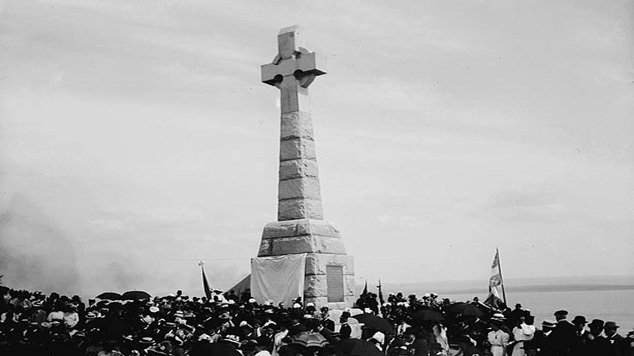 The sesquicentenary commemorations in 1995 awakened both academic and popular interest in the Great Famine. In the subsequent 20 years, there has been an outpouring of publications and a desire to create permanent memorials in many parts of the world. Furthermore, the interest has not been confined to Irish communities. 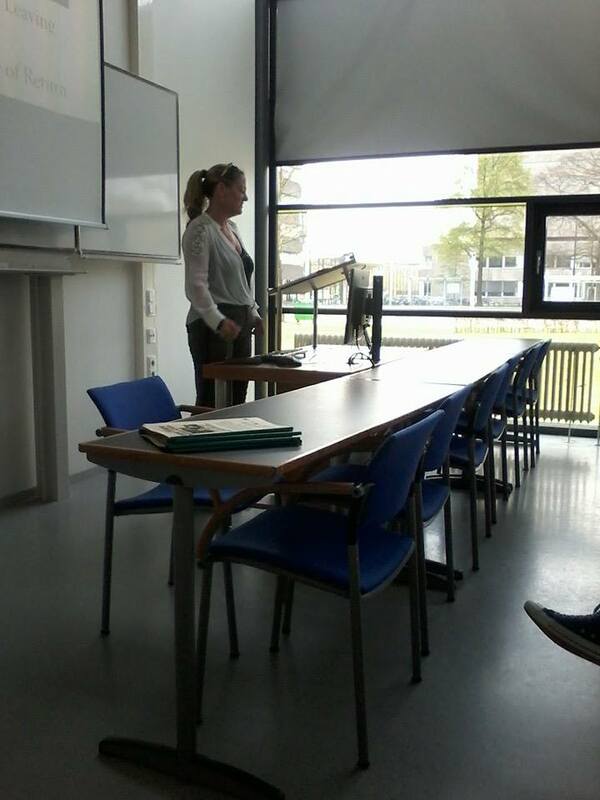 In 2014, France introduced the Irish Famine as a topic to be studied for the prestigious agrégation exam. Quinnipiac’s interest in the Famine originated with their President, John Lahey. In 1997, he was Grand Marshal of the New York St Patrick’s Day Parade. To honour the memory of those who had died in Ireland 150 years earlier, he made Great Hunger the theme of that year’s parade and called for one minute’s silence. The late Murray Lender, a Quinnipiac University alumnus and vice chairman of its Board of Trustees, was moved by what he observed and heard from President Lahey, and wanted to give his support in educating people about the causes and consequences of the Famine. 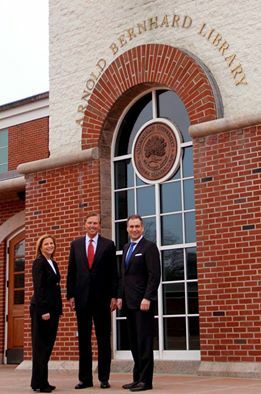 Murray and his brother, Marvin, provided the financial support that led to the creation of the Lender Family Special Collection Room in the Arnold Bernhard Library on the Mount Carmel campus. This small, beautiful room, which is shaped like a ship’s hold, was officially opened in 2000. Remarkably, the Lender brothers had no direct connection with Ireland. Today, the Lender Family Special Collection is probably the largest collection in the world of published material relating to the Irish Famine. It consists of both primary and secondary sources, even including a set of nineteenth century British Parliamentary Papers. The collection is available for scholarly research, but the resources may be used only on the Library premises. The collection also initially included artwork and sculptures relating to the Great Famine, but, as more art was acquired, it was decided to create a dedicated museum for this unique resource. Ireland’s Great Hunger Museum was opened in September 2012, in a specially-dedicated building situated about one mile from the Mount Carmel campus. 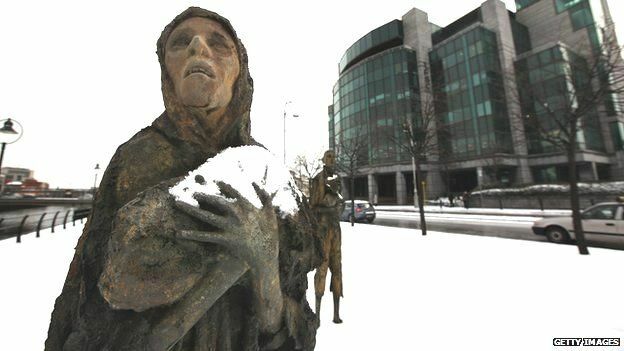 It is now home to the world’s largest collection of visual art relating to the Famine. Works by noted contemporary Irish artists are featured, as well as a number of important 19th and 20th-century paintings. 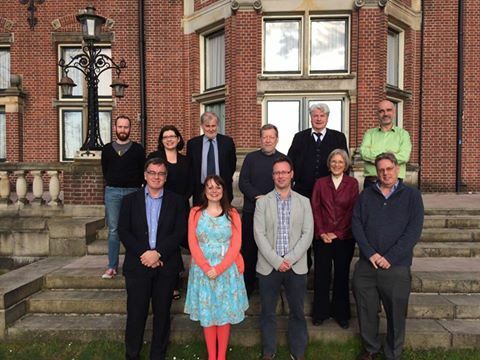 In September 2013, Ireland’s Great Hunger Institute was established, to provide a scholarly underpinning to the work already taking place at Quinnipiac University. Additionally, part of its mission is to promote further research on the Great Famine, and to place the tragedy in its wider historical context. In its relatively brief existence, the Great Hunger Institute has introduced an Irish Studies Minor to the undergraduate programme at Quinnipiac University. It has also established a rich schedule of cultural and historical events that are open both the university community and to the public. In April 2014, the Lady Sligo Exhibition was opened in the Lender Room of the Arnold Bernhard Library. It was based on the University’s collection of over 200 letters, written between the 1820s and 1870s, that were written by the Sligo family. Many were penned by Hester Catherine Browne – Lady Sligo – who had been born in County Galway in 1800, but at the age of 16 married the second Marquis of Sligo, owner of Westport House in County Mayo. 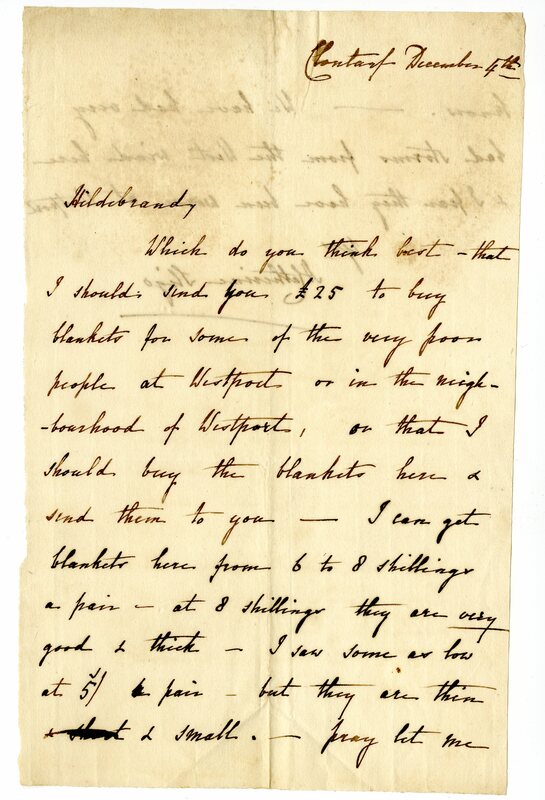 Some of the letters were written just as the Famine was appearing in Ireland. The letters demonstrate her concern and compassion for the welfare of the local poor. They also reveal the agency of a woman in nineteenth century Ireland. Without the survival of these letters, Lady Sligo would have been invisible from the historical record. The Exhibition closed on 22 March 2015, but the good news is that it is moving to Ireland – to Westport House, where it will form a permanent exhibition. So, fittingly, Lady Sligo is going home. 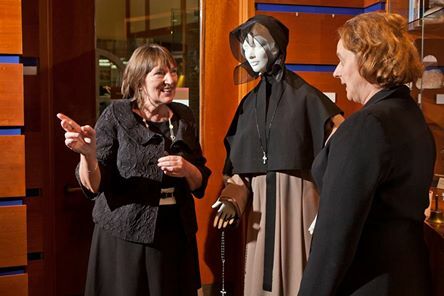 A new exhibition, which tells the remarkable story of the religious orders in Montreal who selflessly came to the assistance of immigrants fleeing from the Famine who were sick with fever, opened at Quinnipiac University on 1 April 2015. It is entitled ‘Saving the Famine Irish: The Grey Nuns and the Great Hunger’ (Sauver les Irlandais de la famine: les Sœurs Grises et la Grande Famine). A centre-piece of the new exhibition is a beautiful painting by Theophile Hamel, entitled Le Typhus, which was commissioned by the Bishop of Montreal in 1848, to give thanks for all of the lives that were saved. It is possibly the first painting in the world dedicated to commemorating the Famine. The records kept by the Grey Nuns throughout these years, which were written in French, have been loaned to the exhibition by the Grey Nun Archive, and will be on display. An unusual feature of both exhibitions, and one that has particularly intrigued the students, is a replica of a bonnet that would have been worn by a young woman who was part of the Earl Grey Orphan Emigration Scheme, introduced in 1848. This unusual project sought to both correct the gender imbalance in Australia (where there were approximately eight men to every one woman) while relieving Irish workhouses of the burden of long-term inmates. Approximately 4,000 Irish girls arrived in Australia as a consequence of this scheme. Their presence changed the course of Australian history. In early June 2015, the Institute will be hosting an international conference on the theme of ‘Women and the Great Hunger. A comparative approach’. It will be held at the York Hill campus, and will feature three keynote speakers: Dr Ciarán Reilly of Maynooth University, Dr Jason King of Galway University, and Professor Oonagh Walsh of Glasgow Caledonian University. The conference is open to the public (although there is a registration fee) and will include a visit to the Grey Nuns’ Exhibition, the Great Hunger Museum, and to New Haven. 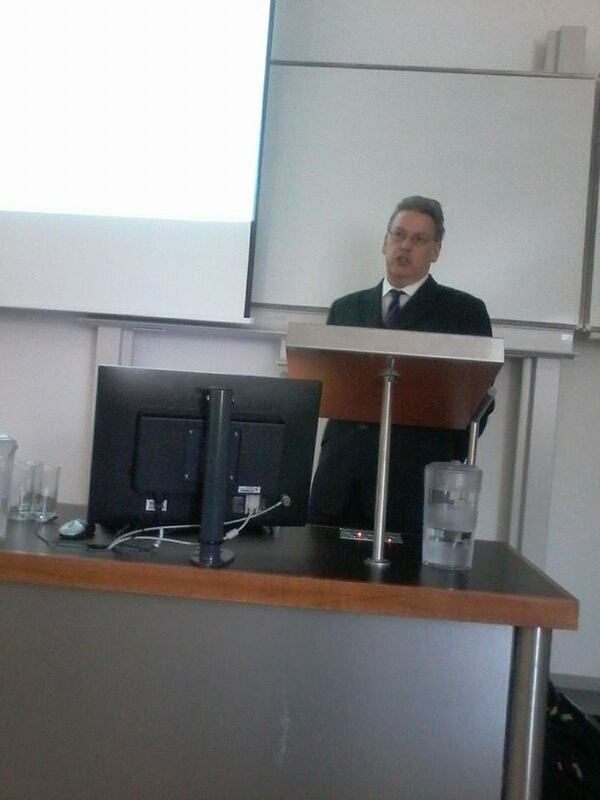 A conference proceedings will also be published. One of the most exciting projects that the Institute is involved in is the production of a Graphic Novel (and if you are not sure what this is, ask anybody under the age of 25). Graphic novels are increasing used in teaching young adults and even undergraduates, the most famous example being Maus, which tells the story of the Holocaust through images and words. The forthcoming graphic novel is called ‘The Bad Times’ (An Droch –Shaol) and is based on the lives of three teenagers from County Clare. 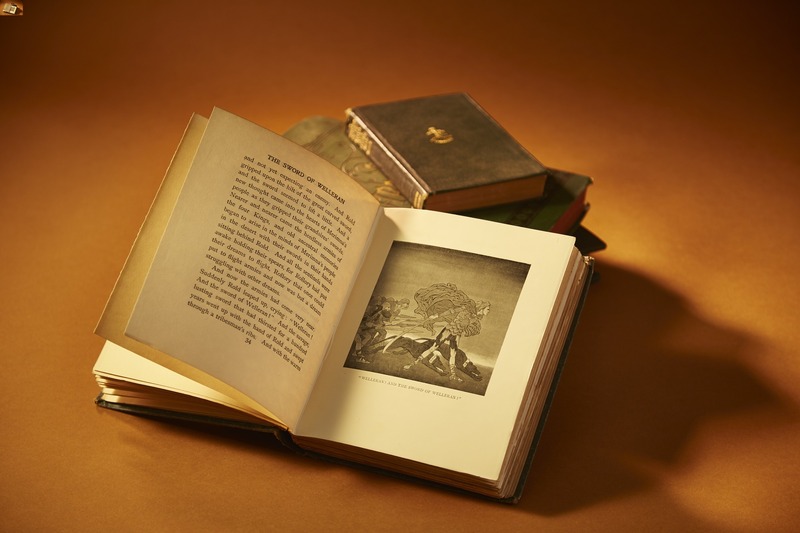 It is set between 1846 and 1849 and will be available in autumn 2015. The text has been written by Christine Kinealy and the artwork by Boston-based artist, John Walsh. It is hope that ‘The Bad Times’ will bring the story of the Great Hunger to a younger audience. Quinnipiac is a relative newcomer in the world of Irish Studies, but the unique combination of Great Hunger Institute, the Great Hunger Museum, and the Great Hunger Collection, has created a wonderful resource for scholars and for anybody who has an interest in Irish history and culture. Visitors are always very welcome and the Institute would be delighted to hear of ideas for collaborations and partnerships. Ireland’s Great Hunger Institute’s new exhibition attracted approximately 100 Irish and Canadian diplomats and scholars last night. The exhibit examines the selfless Grey Nuns, who risked their lives to offer aid to Irish immigrants to Canada afflicted with typhus fever. Read more: http://bit.ly/1C3v6WR The exhibit, which opens today, runs through March 18, 2016 in a room modeled after a coffin ship in Arnold Bernhard Library. Here, Christine Kinealy, director of the institute, offers Barbara Jones, Consul General of Ireland in New York, a preview.